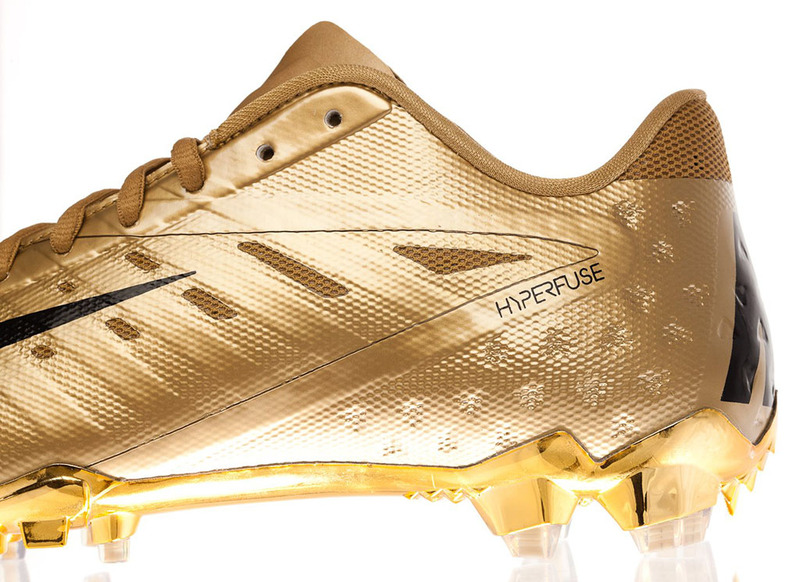 Custom cleats made for the nation's top prep quarterbacks. 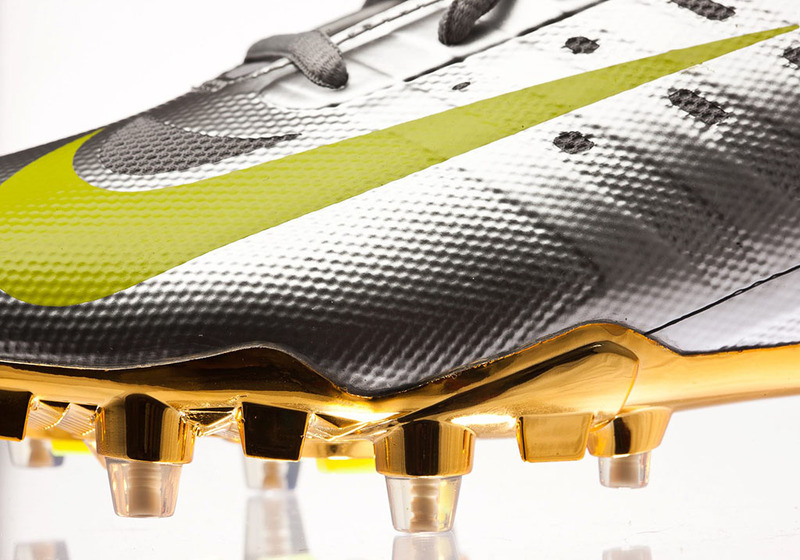 Elite11 is the nation's premier quarterback competition for prep athletes. 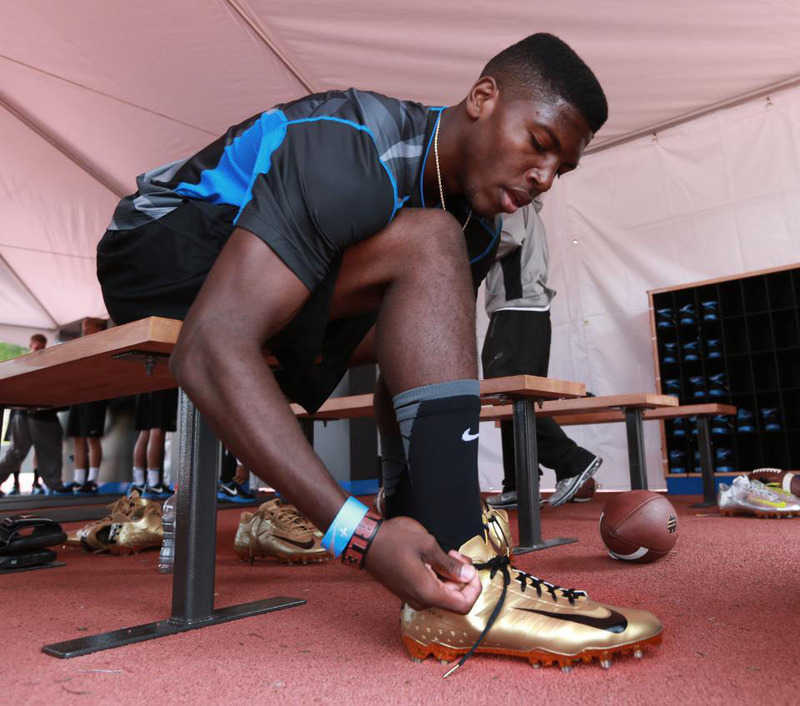 The five-day event held in Southern California features quarterbacks selected through an exhaustive process. 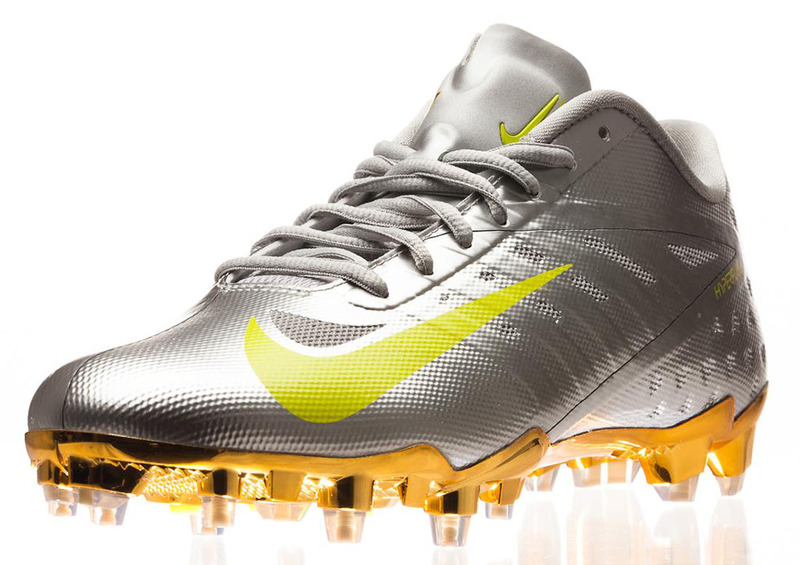 More than 1,000 quarterbacks are evaluated annually from 12 Nike Football Training Camps and six Elite 11 regional camps. 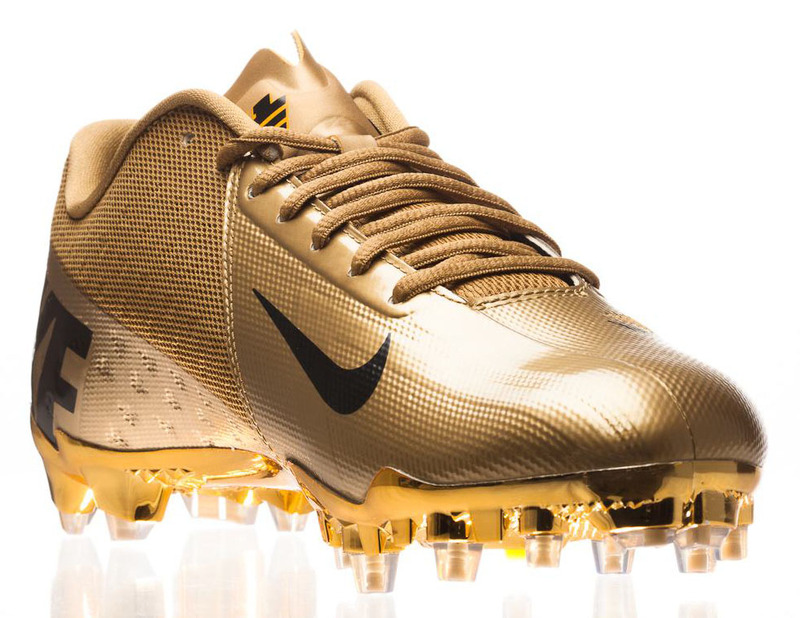 Past participants include Aaron Rodgers, Drew Bees, Tim Tebow, Ben Roethlisberger, Cam Newton and Matthew Stafford to name a few. 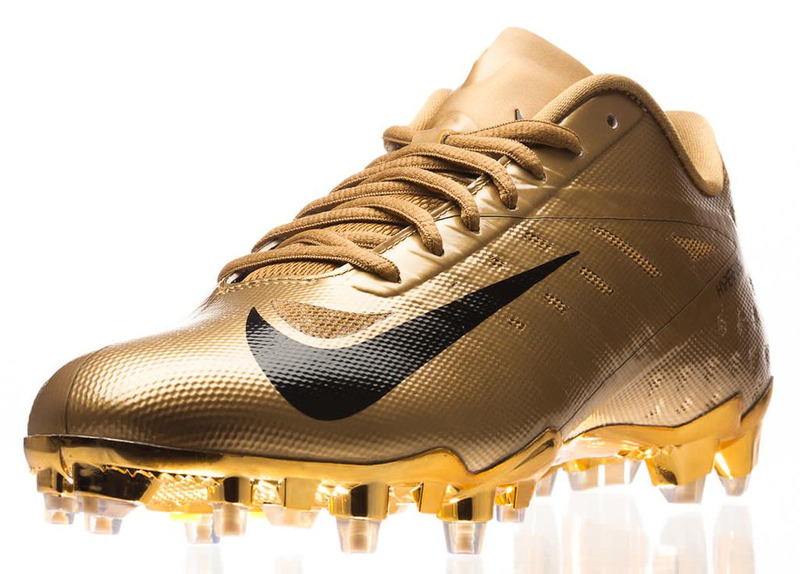 For this year's event, official sponsor Nike gifted the quarterbacks with these special Elite11 make-ups of the Vapor Talon Elite cleat. 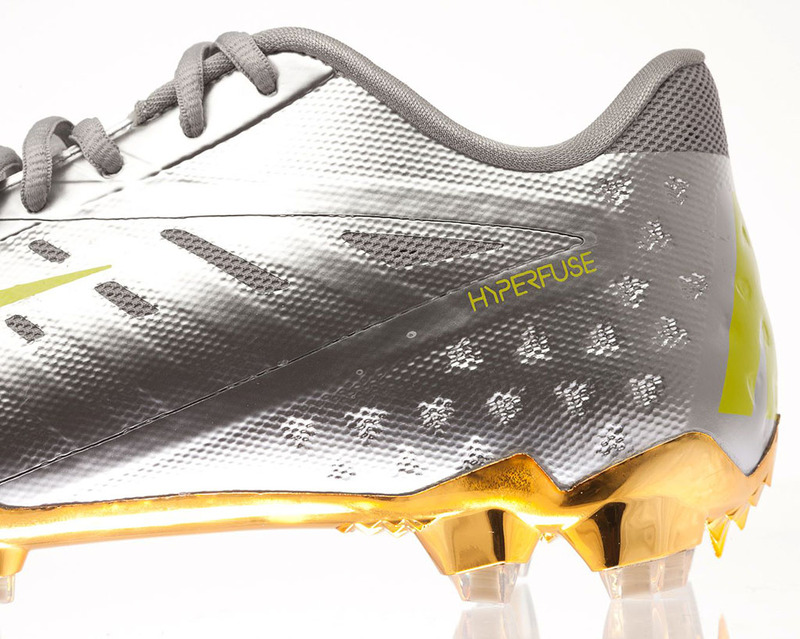 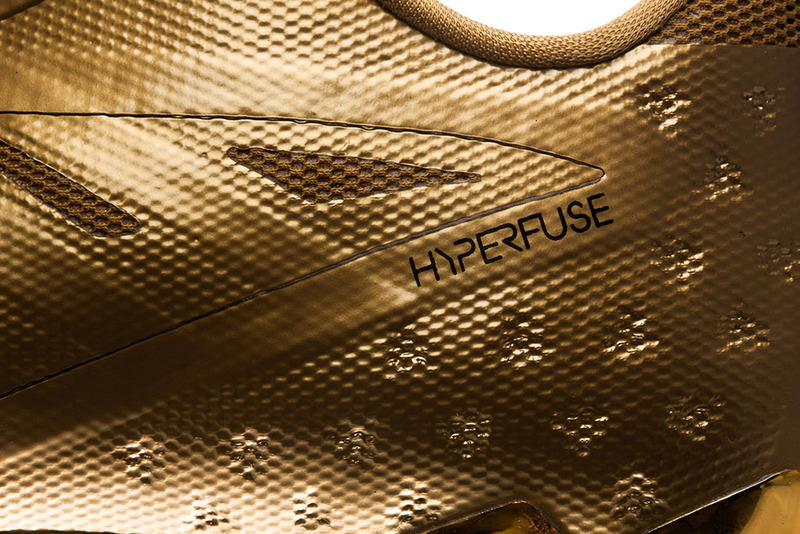 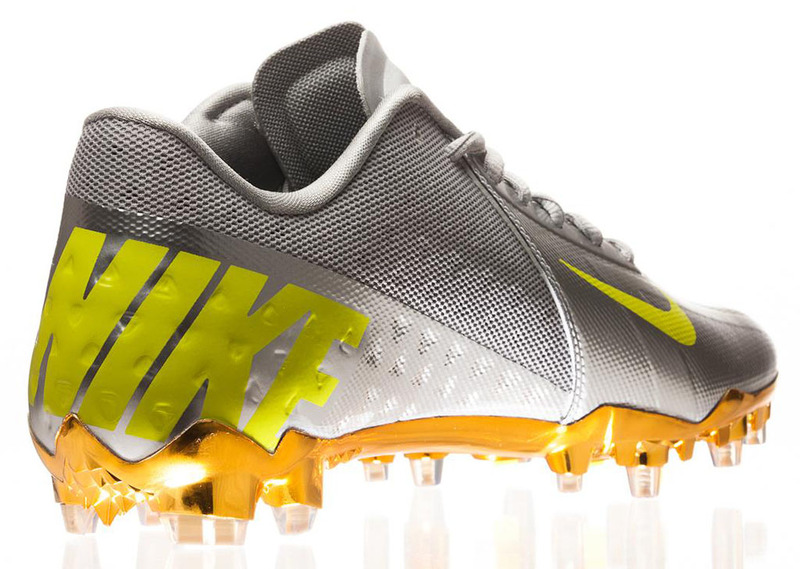 The Vapor Talon Elite features Hyperfuse construction and tips the scales at just 9.8 ounces. 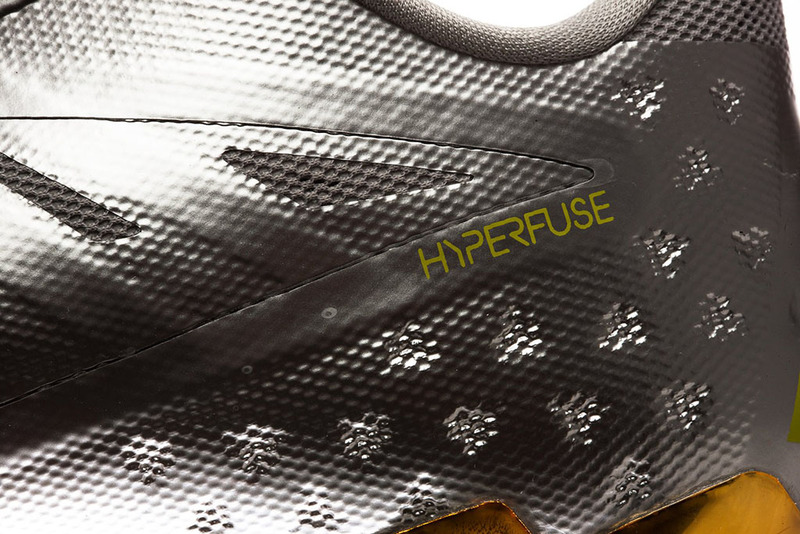 Additional tech cues include breathable mesh paneling, carbon fiber support and traction on demand. 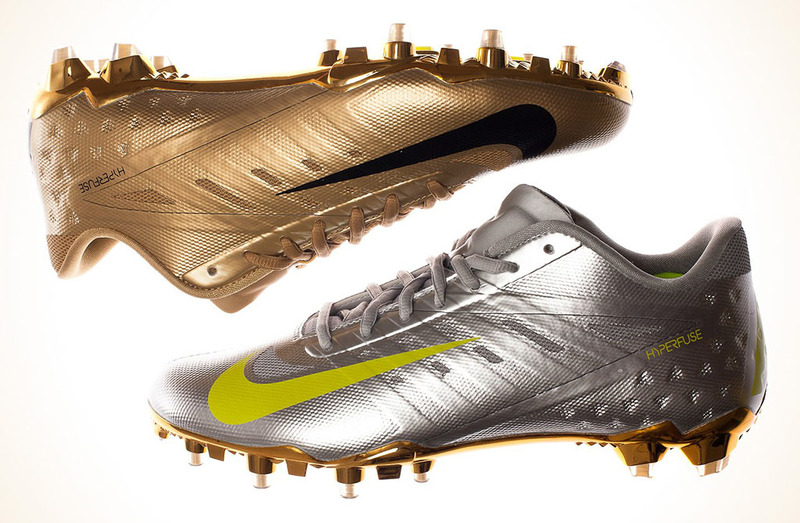 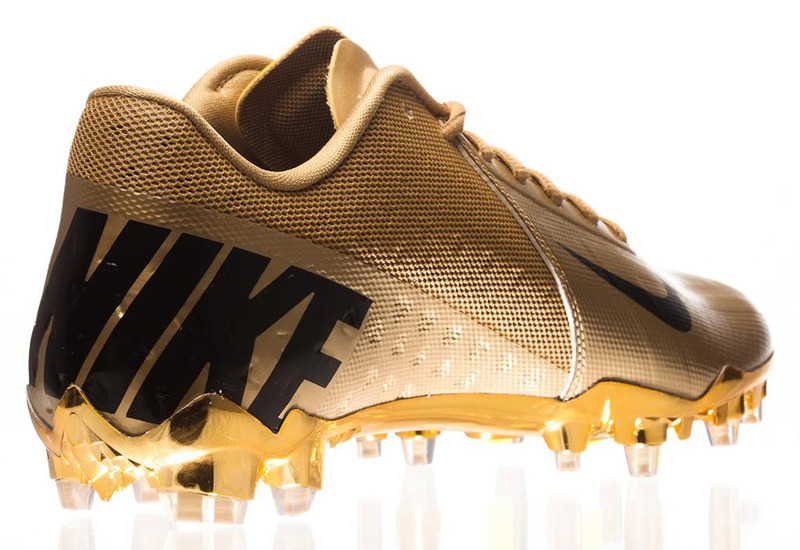 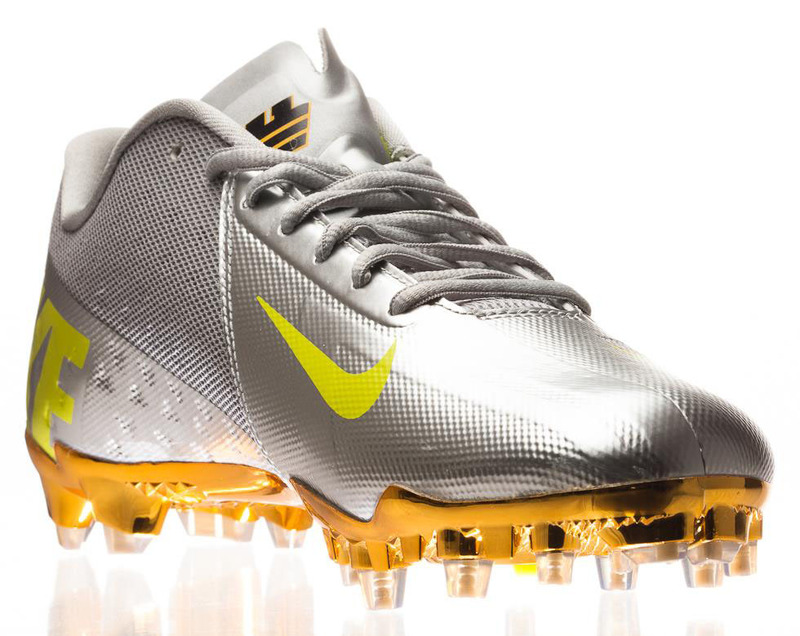 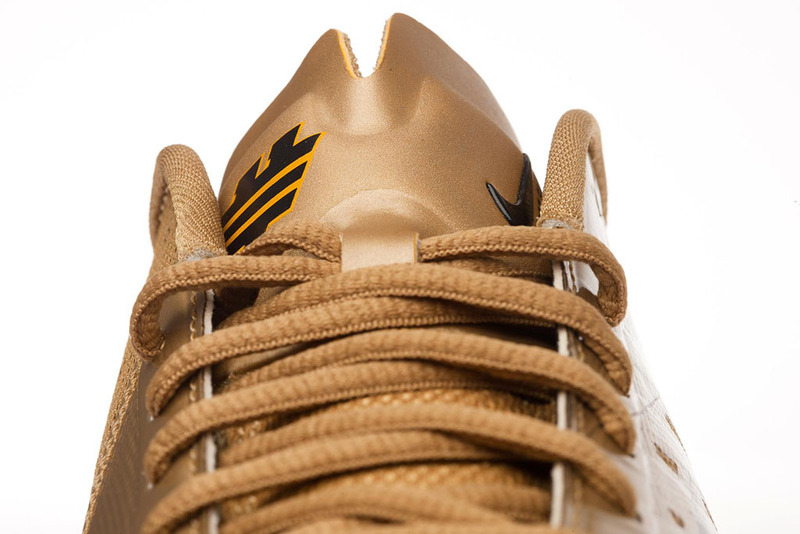 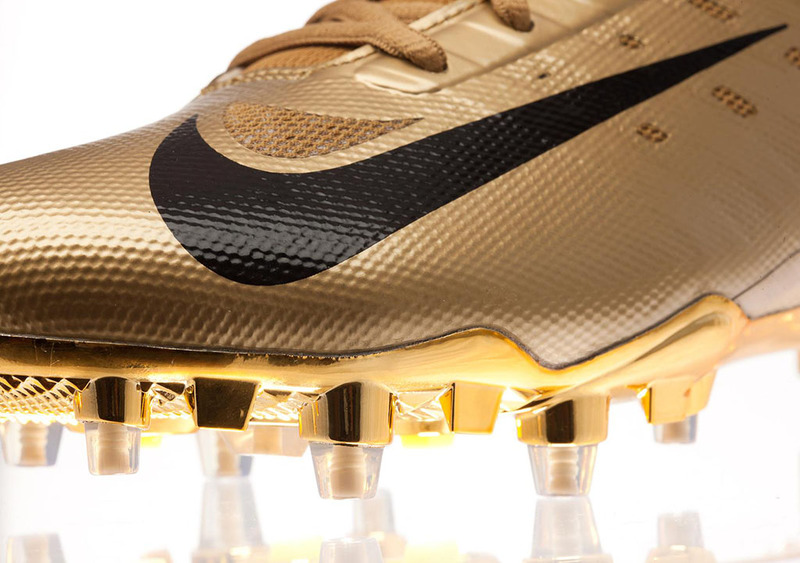 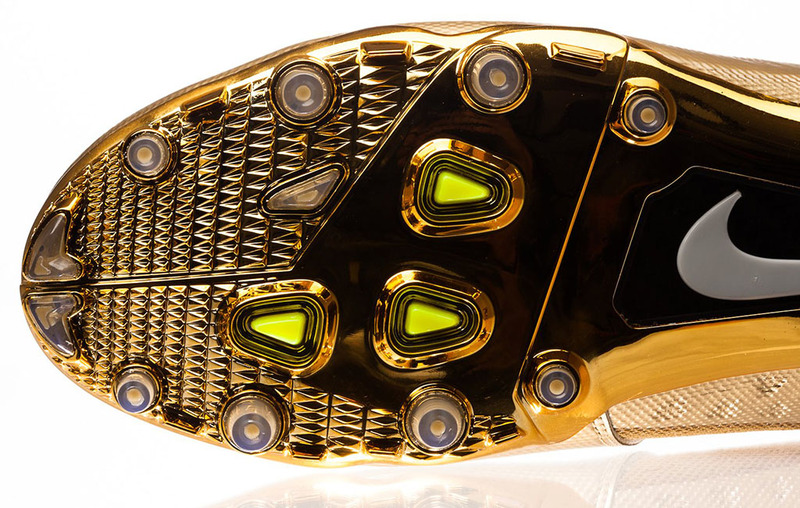 The Elite11 exclusives are done in metallic gold and silver and feature a custom logo on the tongue. 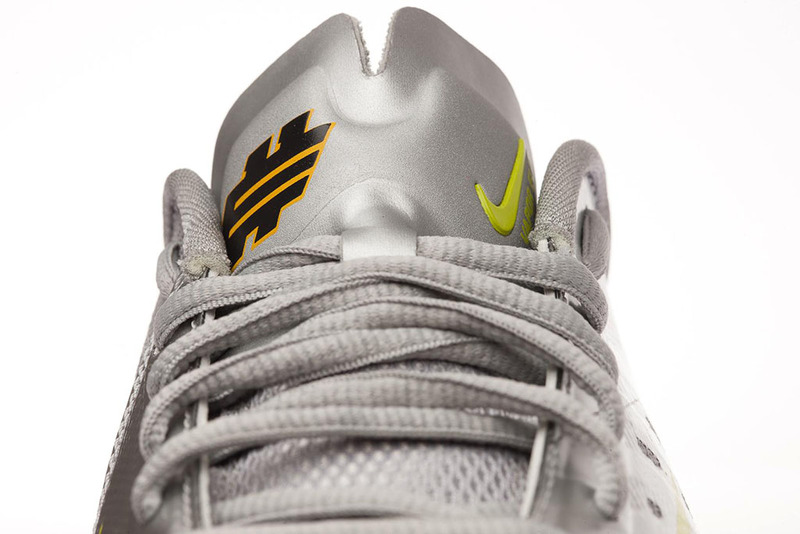 Find out more about Elite11 and check out the finalists over at Facebook.com/USNikeFootball.